Business Support « Bolognese & Co. Managing and keeping your finances on track is an ongoing venture. Silvano understands that, and he and his team at Bolognese & Co CPA CGA are ready to go the distance with you. They have the knowledge and the expertise to offer advice and practical help with all aspects of your continuing financial and accounting requirements. Bolognese & Co. CPA CGA has been government-certified as an agent to provide client representation with the Canadian Revenue Agency (CRA) since 1996. Clients in need of information can seek help from Silvano—an expert accountant with knowledge of the tax act and CRA rules, regulations and practices. It is easy for a professional like him to spot tax and company finance-related problems in the books and required forms, and be able to correct these issues. Silvano and his team organize legal and financial files in a way that makes the process, and the retrieval of these important papers and figures, easy. Companies that have massive amounts of important financial papers to organize can use Bolognese & Co. CPA CGA to get organized, and even learn to continually maintain the efficient system in their office. There are always better ways of carrying out financial tasks such as bookkeeping, purchasing large quantities of products, determining product and service prices, making business decisions and general management of a company. Also, it is important to learn how to control these and other related factors more efficiently. Silvano analyzes company procedures and reports on the profitability of the business, points out any efficient or inefficient situation, and teaches how to maintain, grow, or change to become more economical. Silvano can help to identify problems that lead to inefficiencies. An in-depth discovery of how the systems are working is performed to help find areas where improvements are needed. A detailed report is provided to management and then further discussed to take into account company goals and owner’s preferences. Silvano reviews financial statements and rubber-stamps them with approval. Silvano is careful to always put his name and stamp of approval on statements that balance and comply with CRA rules, national and international financial statement standards and generally accepted accounting principles. Reviewed accounts and statements are often required by banks, investors and other associations. 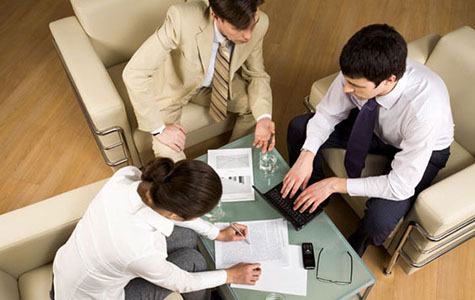 It provides a better degree of reliance on the financial statements provided.